I posted so many things for National Library week last week; I thought I’d give you all a little breather to catch up. A week has passed, you’ve cleared out your Google Reader (Feedly?) 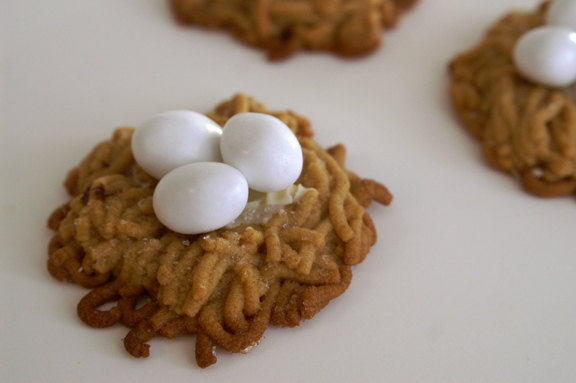 by now, so I’ll resume my post-Easter 2013 food recap, since we still have the desserts to go. It’s been a little while, but do you remember that yellow sunshine cake I made for the Easter festivities? That was a french butter cake called a “sableuse,” pronounced – so far as I can tell – “sableeeuuuussse.” You know you want to say it like that too, so don’t deny yourself that one tiny pleasure. 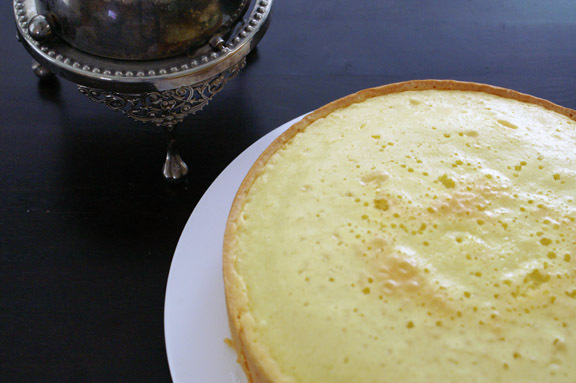 The sableuse was a very different cake recipe than I’ve ever tried by the manner in which you put it together, so I thought it safe to go about it on a holiday where there would be another cake in place, were this one to fail. Thankfully, it didn’t fail, and what resulted was pretty magical. I’ve never met a cake that’s this light in weight yet so dense and rich on the tongue. It’s almost impossible to experience, because cakes that are this rich generally have quite a bit of heft to them; you could have flung this one into the air like a Frisbee. Because of this, it’s a great warm weather cake; just throw some fresh whipped cream and berries alongside of it, and you have a lovely dessert that doesn’t seem overdone. It’s sunshine yellow due to a massive amount of egg yolks inside it, and comes out in much the way that a sturdy pound cake would, which means nothing will fall apart on you in the heat. I love the way you make this cake; it’s really quite delightful. First, it’s backwards; the butter gets melted, cooled, and added in at the end. Before the butter finale, you get to whip everything else together for a small eternity until the batter balloons out into a thick pile. Then you carefully stir in your butter, get all of it incorporated, and pour it into the pan. And then? You get to make your cake a tin foil helmet. That’s right: a foil hat. “Sableuse” may or may not be French for “conspiracy theorist,” but it most certainly feels like it should be protected from alien death rays or government mind-control. You need to wrap the cake top to bottom with foil (as instructed), so either use my instructions for how to do this, or devise your own way of doing it which allows you to see how your cake is baking while at the same time limiting its exposure to death rays. Your cake will appreciate this, as will you; you really just don’t want to mess with hot foil while trying to keep a cake still. So here it is: simple, straightforward sableuse. Aside from the name, it is a very unfancy cake. It’s bakes up on the dry side, which makes a perfect vehicle for any whipped cream and fruit combination you could dream up. You could also slice this up to either toast or grill, just as you would do with pound cake. Once we get our grill going, I’m going to try some grilled with caramelized peaches alongside. If you feel silly making yourself a whole cake just because, please don’t; it freezes perfectly and will keep for several weeks. Adapted from my newest Food & Wine acquisition, The Food & Wine Annual Cookbook 1997: An Entire Year of Recipes from America’s Favorite Food Magazine. You read that right, friends; 1997. I normally order these online for like, no money apiece, but this one I was lucky to scavenge from a Florida thrift store. I don’t know who would willingly part with this, as it is just packed with recipes. *I never kid about room temperature eggs or egg yolks. 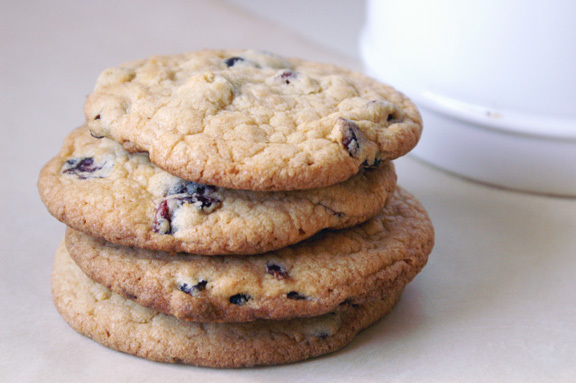 If you’re making chocolate chip cookies, it doesn’t matter that much if your eggs are warm or cool. However: when attempting something that uses eggs in a starring role, temperature is key. Room temperature eggs allow themselves to be whipped into big, balloony puffs much more than their cold counterparts, so please do yourself a favor and get those eggs nice and cozy before starting this recipe. I just didn’t feel like this was a “recipe” because I mix it up every time, and because you’ll need to adjust your ingredients depending on the season and quality of your berries. To make what I tumbled over this cake above, throw a pint or two of berries together into a medium saucepan, add several tablespoons of sugar, and squeeze a lemon over top. Cook it how you like: to get that “we’re still berries” look above, only heat on medium until the sugar dissolves and the berries look darker and have released just a bit of juice. They should still be a little firm and hold their shape; it only takes a few minutes. For more of a saucy jam, cook it for longer until the berries start to become very soft. You’ll notice you have a choice in an 8 or 9-inch cake pan. I made this in both pans, and I like it either way; just wanted to give you a little flexibility. The results are obvious; the 9-inch will be slightly flatter and wider, but they both cook within the time guidelines I give in the recipe; the 9-inch will go a little faster than the 8-inch. Preheat the oven to 350˚F. Butter either an 8-inch or 9-inch cake pan and line the bottom with parchment paper. Butter the paper. Sift together the flour, cornstarch, and salt in a small bowl. Set aside. 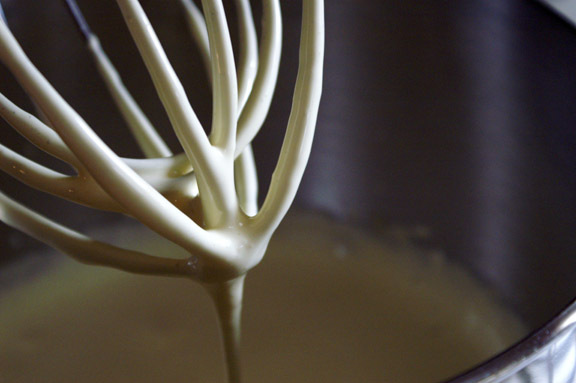 In the bowl of a stand mixer fitted with the whisk attachment, beat the egg yolks, egg, and sugar at medium speed until pale yellow in color and fluffy, about 15 minutes. Before the second addition of butter has been completely incorporated, stop the mixer and remove the bowl from the stand. 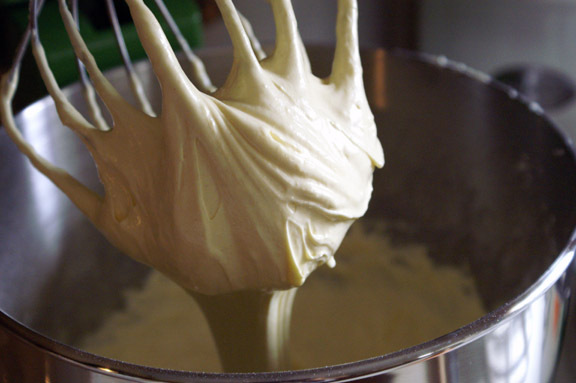 Using a rubber spatula, fold in the final butter addition gently, until the batter is completely homogenous. Stop folding as soon as it is combined. Scrape the batter gently into the prepared pan. 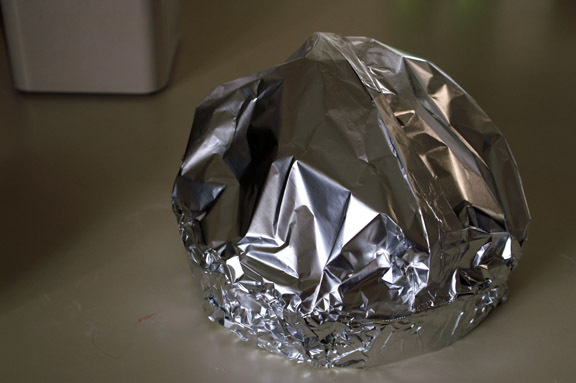 Using two sheets of aluminum foil, wrap the pan completely top and bottom, with the top foil overlapping the bottom (so it’s easy to remove to check on the cake). Tent the foil (like the photo above, although you could be less dramatic about it) to allow for expansion. Bake in the center of your oven for 35-45 minutes, checking at the 30-minute mark for doneness. 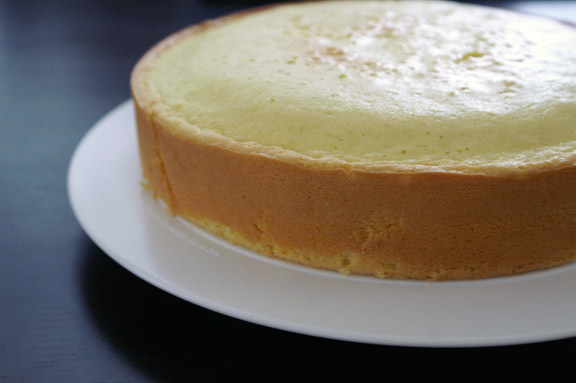 Your cake is done when it has risen and springs back in the center when lightly pressed. When the cake is done, remove it immediately (oven mitts!) from the cake pan, peel off the parchment paper from the bottom, and right the cake back onto a plate. Allow to cool completely before serving. Stores well in an airtight container for up to 2 days. If you still have more, throw it in a freezer bag and store for later use. As I’m typing this, I realized I still have some in the freezer and now I want some. It’s that good out of the freezer. Thanks Sara! It was for sure one of my most favorite simple cakes so far. After a description like this, how can I not try this cake? I like foil hats, in fact, I love to send pictures of my foil-adorned self to Aaron from the salon when I get my hair done. Also where I am safest from aliens, mind-readers, and death rays. i too, enjoy myself in a foil helmet roughly once ever 8 weeks for my color touch-up. It’s a good look, and bonus: SAFTY. microwave compote! Genius; i never thought about using a microwave for something like that. we will talk, because i have visions of berry explosions, so you must have a technique. O.M.G. Can’t wait to try this. Aunt Teri, i promise, it’s SO GOOD. The leftovers are the most dangerous part, so make it when you have everyone over. Certainly the kids will love it as much as the adults. MOTHER OF PEARL! I love cakes that require outfitting – that hat is perfectly lovely, and has dramatic flair. When you suggested toasting or grilling it like pound cake, it made me think back to Thanksgiving. You see, at school, we made about 4 million pies for the occasion. And for fun – and our coffee breaks – we made a few with cubed pound cake & sponge cake on the bottom. Yup. It’s a great use for leftover cake bits – chop ’em up and put a layer over the pie crust before topping with your pie filling. Of course, you probably wouldn’t have any leftovers with this cake. Hey man, it’s cool. We’re still berries. Oh. And I haven’t even looked at my Google Reader since that last time I freaked out and had hundreds to read (which I did). That just points out how specialy-wecialy you are to me (awwww)! My cakes all feel inferior now because none of them have a hat. for pete’s sake, woman: get your cakes some hats. Okay, now I absolutely have to try this. The way you describe that cake has me drooling on the keyboard – Sableuse is officially on my to-make list! GET ON THE GOOGLE READER SWITCH, GIRL! WE DON’T HAVE MUCH TIME! if you can’t tell by the screaming, i’m mini-freaking out about switching my feeds. I need to get this done really soon or my feeds will be like babes in the woods. which will be an issue. maybe if you make this cake it will make you feel better. bless you for being so non-resistant to change, Willow. i wish i could be that way (but sadly, this will never happen). 🙂 flipping out about things is how i roll. i need lessons in your zen, girl! Ok so I guess I can access your blog thru feedly! I still don’t wanna go crazy with the internet browsing in my first few days, but there’s no harm in visiting a few of my favorite peeps 🙂 (plus they have nothing for me to do here yet. oh look at you all fancy and “i know Feedly now” and things. Do you know i have done NOTHING beyond load the Feedly app to my iPad? I’m toast. I really need to work on that. It’s hard in the first weeks of work where you’re learning stuff but you don’t have enough to fill a real work day. Time does NOT start to fly until you really get into the swing; hang in there. I missed you last week. But after your epic library week, you deserved a break. And now you’re back with a most perplexing palate pleaser! I cannot wrap my head around this cake. It’s simple. But it’s rich and dense yet light in weight at the same time. And it has highly sophisticated nomenclature. My culinary crazy brain can’t handle all this complexity. But it’s so simple! I know how to solve this: I’ll just make the damn cake. And I’ll eat it, too. thank you. 🙂 you know, it’s hard, this whole balancing a blog and real life and freelance work and other stuff, right? Sometimes it all works together so well, and other times? Particles slamming into each other at all the wrong times. I’ve learned to go at my own pace and hope that everyone sticks with me, which so far, has been the case. yay! did you see the balloony batter photos! isn’t that amazing? So fun to watch it just expand like that and become this eggy, golden thing. Sometimes it’s the simplest things that are the best. “I never joke about my work, 007….” Q obviously stole that from your quote on never joking about room temperature ingredients. By the way, thank you for that! I hate having to decide whether it’s really necessary or not to wait for room temperature ingredients. Especially weeknight baking, when I’m a lot more rushed and a lot less thoughtful. I’m already nostalgically missing my crazy apartment oven (aka the instant butter melter) for its key role in making things (hotter than) room temperature in a flash. And this cake? A fun name, a fancy and shiny hat, a magical texture, and toppings….this broad’s got it all. I can’t wait to try it! Ashley, certainly i’m not Alton Brown (he’d probably like, spontaneously lose his lunch if he saw my culinary science advice), but at least from experience, the room temp eggs thing seems to be less about things like cookies and more about things that “depend” on eggs more than cookies do: things like cakes, meringues, and the like. 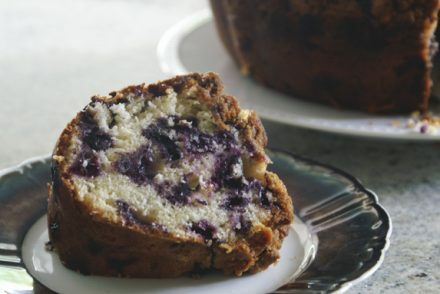 Muffins and quick breads can be forgiving, and can go either way. You just tend to get more air bulk in eggs if they’re warmer, so in things you want to puff, it’s good to give yourself that head start. Try making an angel food cake with cold egg whites and then again with warm ones: big difference. oh i know that feeling of a new/foreign kitchen! It’s the little things like that too that take the longest to get used to. oh em gee, this cake is gorgeous! I never thought of scavenging for cookbooks at thrift stores but that’s going to be my new favorite thing. Amrita, it’s so much fun! Especially around here, because we have so many good thrift and antique stores, and there’s hidden little cookbook gems everywhere. When i go to florida, it’s like a whole other level of awesome, so remember that if you’re ever in that part of the country. SO many cookbooks. my theory is that people bring their cookbooks with them when they move/retire thinking they’ll have all this time to cook. then, they get rid of their cookbooks and give them to the thrift store. then, the become MINE. 🙂 secret = out. Alien death rays or government mind control–yikes! Maybe I should start protecting my cakes. This cake looks so light and airy. I love it! Shannon – this cake is just beautiful! I love that golden yellow and pale yellow color on top; I could look at it for hours! I have a not-so-secret love of eggs and I’m sure all the egg yolks make for a delicious cake here. The process is just amazing and I’d love to try it one day. Do you think it’s good eaten alone just by itself (I love plain chiffon cake) or do you definitely prefer it with a little something on it? I was evidently channeling your thoughts with all this ganache talk. Did you like buttercream/frosting as a kid, i wonder? I know from a pretty early age, i didn’t. It was fine, but i’d get a couple bites in and wonder why i was eating it when i could just go straight to the cake part. I have a handful of buttercream/frosting recipes that i like, but i am super picky: if it makes it to the blog you know that either it’s a) not terribly sweet or b) is made with cream cheese, because i tend to like the tang of a cream cheese frosting waaaaay better as a complement to cake. Similar tastes are good to know, because i now have a significant amount of trust in your cake frostings as well. Oooh your cake sounds so delicious! It looks gorgeous with the berry compote too! Caramelized peaches with this?! Such a good idea. I do love a cake that can take whipped cream. It makes it so much more fun to eat, don’t you think? Whenever I see someone bring a cake AND whipped cream to the table, I get a little giddy. It’s so obvious that summer’s here when i start dreaming about pairing every single thing i make with caramelized peaches; i’ve decided that peaches and nectarines are probably my favorite fruit, tied with blueberries. Totally love cake with whipped cream; it is more fun to eat, i agree. I know there are ice cream fans who dismiss the whip as boring, but i’m pretty devoted to it. Thank you for this. What’s the crumb / texture suppose to be like? I just made this and the cake sank while cooling and the resulting cake looked pretty dense. My eggs were definitely not cold; I even stuck the bowl in a larger bowl of warm water while I beat the eggs. Hi! So sorry for the late reply: we were in the middle of a house move, and I’m just now settling back into work. 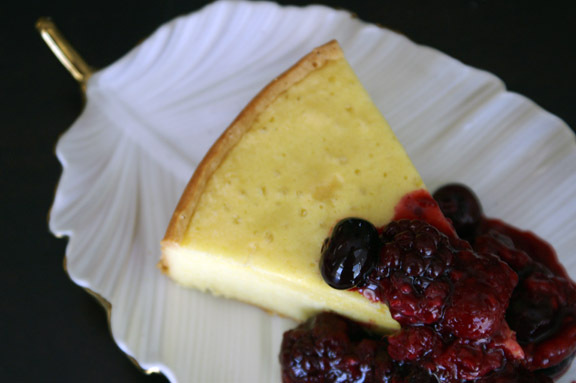 The texture should be dense but not weighty: a little like a pound cake, but smoother. I’ve not had it sink before, however: it may have needed a few more minutes in the oven? Just guessing there because i know the middle on mine was wobbly until the end, so that may have caused it. national library week 2013: the cookbook reviews.